Welcome to DiamondsHere.com! 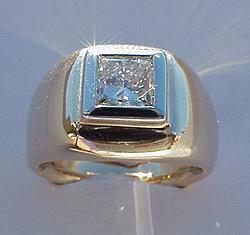 At DiamondsHere.com come discover our buyer friendly low prices on gents rings! 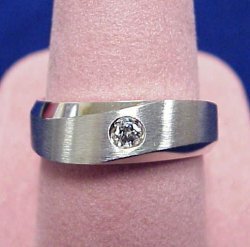 DiamondsHere.com offers a wide selection of mens rings...mounted with diamonds or your favorite gemstone! Please be sure to ask about our DiamondsHere.com coin rings featuring the American gold eagle coins! 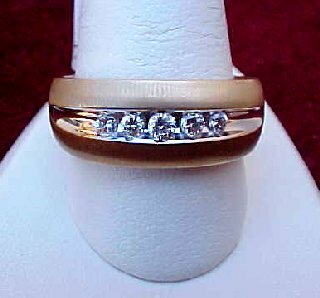 Diamonds and 14K gold make the perfect ring for that special man in your life...or as a personal reward of accomplishment...treat yourself to a fine diamond selected from the DiamondsHere.com certified diamond inventory...or call a DiamondsHere.com represenative today for assistance! 1.01CT fancy square cut diamond of K Color, VS1 Clarity, set in 14KW. One of our DiamondsHere popular picks! Handsome brushed finish with some satin finish on the outside. 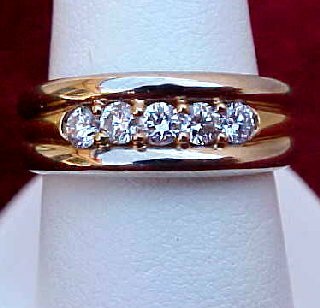 Nice wave design with a 0.10CT round brilliant diamond of G Color, SI Clarity in 14KW. If you do not see what you are looking for...please call... we probably have it! Give us a try... you wont be disappointed with our prices and value! Our Platinum bands are IN STOCK NOW! 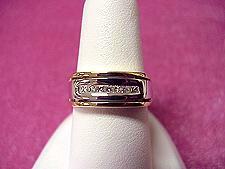 Your satisfaction is guaranteed at DiamondsHere...AND...NO SALES TAX IN OREGON! 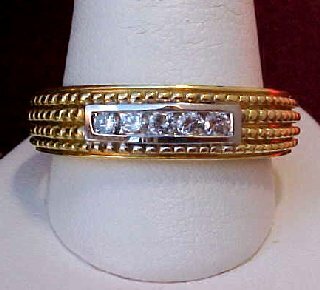 This is an awesome two-tone 14K band with seven channel set diamonds that fire! 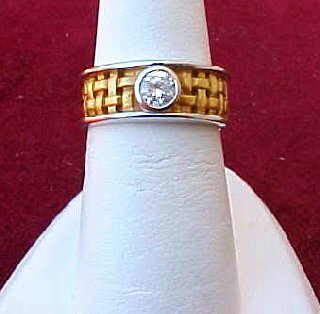 0.25CT bezel set diamond in 18K two-tone band with a basket weave design. Comes only in a 4.5mm width! This is a truly unique ring! 0.25CT TW of five round brilliant diamonds in a 18K band 6mm tapering to 4mm at the shank! 0.50CT TW of round brilliant diamonds in 14K, 7mm wide tapering to 4mm at the shank. 0.25CT TW of round brilliant diamonds in 14K, 8mm wide tapering to 4mm at the shank. 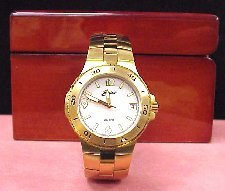 Belair Swiss quartz gold tone watch. This watch is water resistant down to 200 meters. 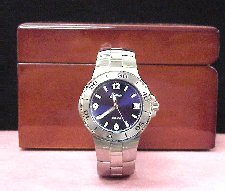 Belair Swiss quartz stainless steele watch. This watch is water resistant down to 200 meters. 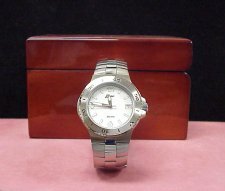 Belair Swiss quartz stainless steele watch with date indicator. This watch is water resistant down to 200 meters. 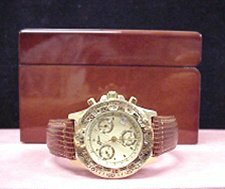 Belair Swiss quartz gold tone watch with leather band and chronograph.